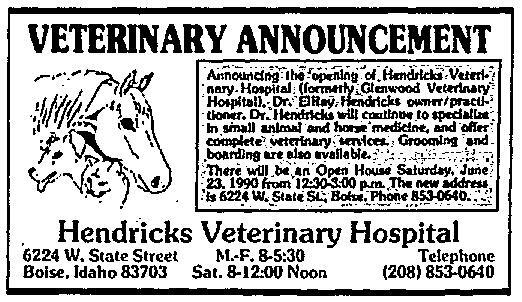 In the summer of 1990, Hendricks Veterinary Hospital was founded by Dr. El Ray John Hendricks. 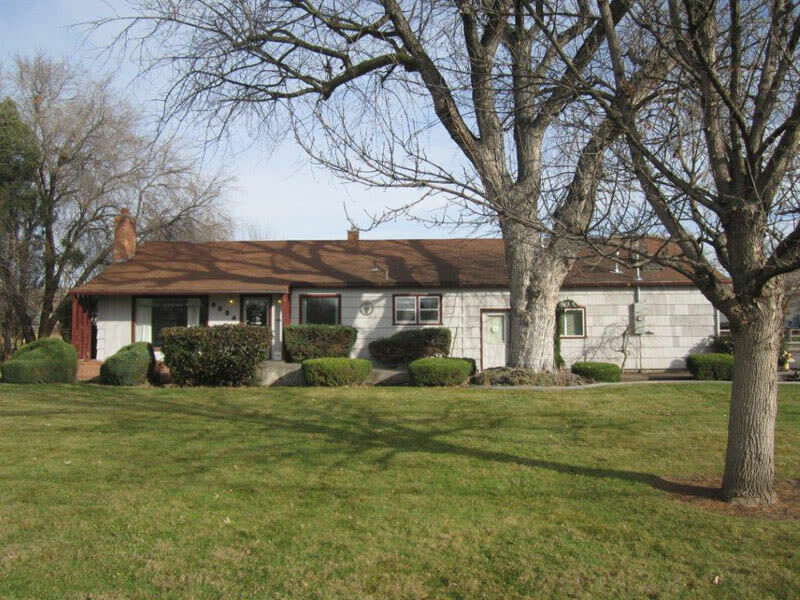 The single doctor, mixed animal practice originally started within the confines of a small farmhouse located at the present location. Three decades later we have a new building, but our foundations are rooted as a neighborhood clinic. 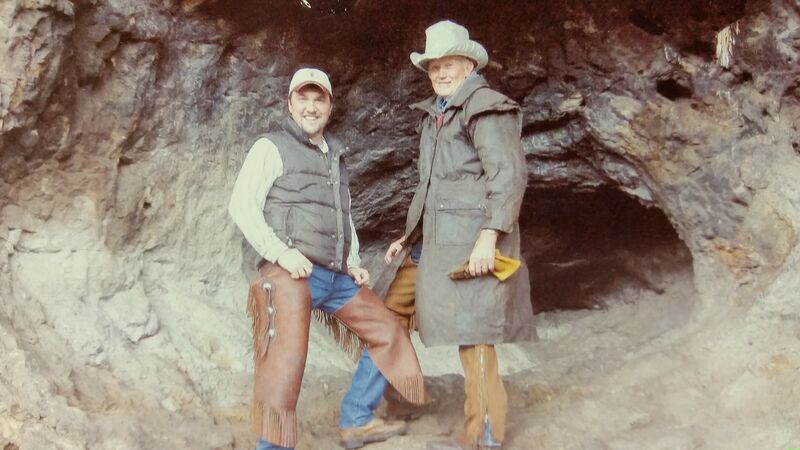 Dr. Hendricks grew up the youngest of five high-energy boys in Hibbard, Idaho, just outside of Rexburg. He attended Ricks College and BYU where he competed on rodeo teams and was awarded a prize saddle for “All Around Cowboy” in 1967.  Dr. Hendricks then attended Washington State University and obtained his Doctorate of Veterinary Medicine before moving to Boise. 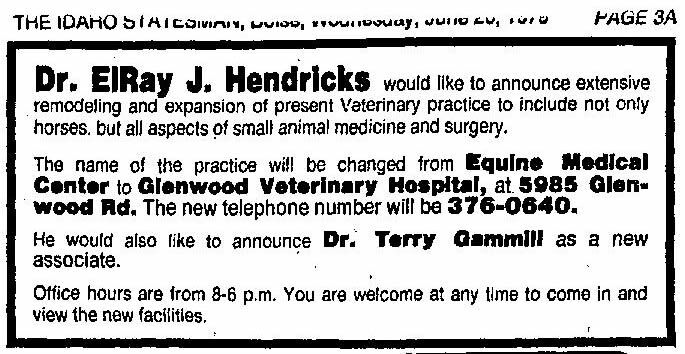 In 1976 he began practicing veterinary medicine in his own clinic, The Glenwood Veterinary Hospital. After more than a decade at that location, Dr. Hendricks started looking for a new place to grow his practice under his own namesake. 1989 local news reports indicate the city did not expect State Street to support commercial interests, and that the local neighborhood did not necessarily share Dr. Hendricks’ enthusiasm for a new hospital. The neighborhood came out against the clinic during re-zoning meetings. Luckily, the city disagreed, saying that the locale was in transition and a veterinary hospital was a good fit for the property. It’s as if they knew Dr. Hendricks and providence would dictate the hospital to be a permanent fixture. The farmhouse was converted into a hospital that featured familiar faces and dynamic medical care for small animals and horses. The neighborhood came to embrace Hendricks Veterinary Hospital and Dr. Hendricks was quick to support the local community; particularly the Boy Scouts of America. He was also an involved member of the local veterinary community, being appointed to the Idaho Board of Veterinary Medicine in 1992. He was comfortable in any situation, around any personality, and always made those he was around feel like close friends. 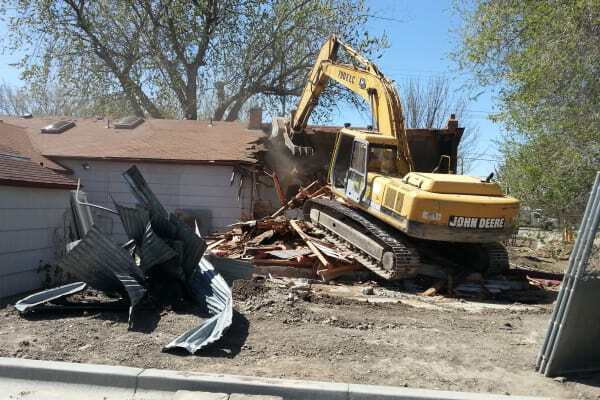 In 2013, Hendricks Veterinary Hospital transformed again; this time with the demolition of the original farmhouse and the construction of a completely new hospital at the same location. Dr. Hendricks and his associate, Dr. Joel Davis, would spend months designing the building that would eventually take Hendricks’ into the future. Their purpose was to strike a balance between state-of-the-art medical care and comfortable, neighborly service. Following five years of mentorship under Dr. Hendricks, Dr. Davis was ready to step into his own as a leader at our hospital. Dr. Hendricks agreed, knowing that Dr. Davis would continue the proud tradition of quality care and service he had nurtured throughout his years in practice. Dr. Hendricks remained an active member of the hospital until “retirement” (although contemporaries agreed Dr. Hendricks never actually stopped working). As we grow, our hospital strives to remain the “Neighborhood Clinic” originally conceptualized by Dr. Hendricks. Our team is a family and our clients are our extended family. We love when family comes to visit! Sometimes it’s just a quick annual checkup, but we like to catch up and celebrate life together. We give our patients treats and joke that the rules here are just like the rules at Grandma and Grandpa’s house: the grandkids always get spoiled! We make plans for the upcoming year and look forward to the next time we get to see each other. Other visits are unexpected and happen when one of our four-legged family members is sick or injured. It is during these times that our team’s compassion and care for our patients really shines. We treat our patients as if they were our own pets. This includes cuddling with them and telling them how much they are loved. Being pet parents ourselves, we ensure our patient’s human companions are taken care of as well. In 2015, Dr. Hendricks passed on at the age of 71. Although he is no longer with us; as a team, we honor Dr. Hendricks’ legacy of community support with such events as our annual Dr. ElRay Hendricks Holiday Food Drive in coordination with The Idaho Food Bank. We also actively sponsor The Idaho Shakespeare Festival, Conrad Strays Cat Rescue, The Ronald McDonald House, The Boise Hawks, and the Garden City Police Department, to name a few. Dr. Hendricks’ portrait and stethoscope hangs proudly in our lobby as a reminder of the gold standard of veterinary practice and client care we strive to achieve every day. It is a responsibility we are proud to carry into the future for many years to come.